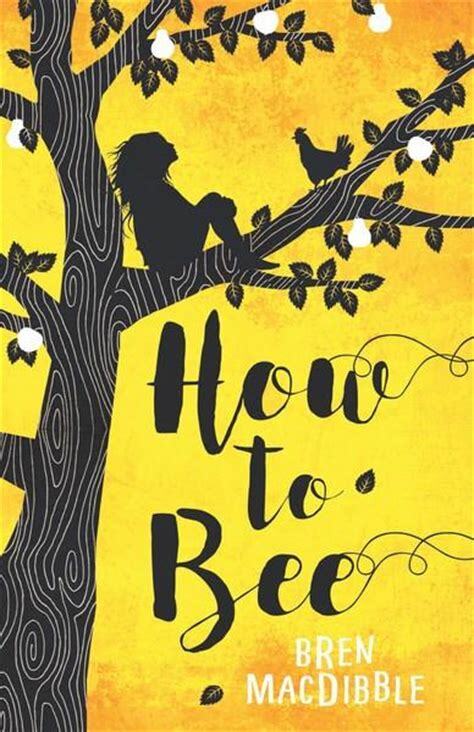 ‘How to Bee’ is one of those books that leaves an emotional footprint in your life with its moving and thoughtful story set in a future dystopian world. This is not a world that stretches beyond the realms of imagination, where children fight to death for entertainment or where robots secretly plot to rule mankind, this is a reality that could actually happen. Imagine a world where we have no bees and children in the grip of poverty are employed by farmers to scramble through fruit trees with feather wands to pollinate them and whose world exists only within the confines of the farm. Peony is nine years old and is desperate to be a bee, despite being a year too young she refuses to give up, adamant she will convince the foreman to let her have her way. But even someone with Peony’s fierce determination can’t control the world she lives in and she finds herself ripped away from her family and the life she holds so dear – despite its apparent bleakness – by her estranged mother. Forced into service she meets the spoilt rich girl Esmerelda who in contrast with Peony has a perfect life but in reality is crippled by anxiety. Together they try to find a way to bring to each other the one thing they both desire. This is such an emotional, moving story of the importance of dreams, family and friendship, exploring how people can find comfort in the smallest of things even when their life seems difficult. As a parent of a daughter who is the same age as Peony I find it exceptionally hard to read about the harsh life that she leads but this isn’t how she understands her life to be until she is taken away from it. In fact she struggles with this seemingly better quality of life where she has clothes and shoes to wear when all she wants to do is run free and wild in her bare feet, she desperately craves a return to her old life and her family. Her life experiences are quite brutal with some shocking scenes of domestic violence but I think as an adult I read this entirely differently to a child, I read beyond the words on the page and imagine more. Bren has created an incredibly likeable character in Peony whose voice rings strong and true throughout the narrative. Her desire to be heard and break free from any social constraints will fill you with dismay and warmth in equal measures. She is a free spirit who refuses to be tamed and for that I love her. The intense loyalty she feels towards her grandfather, sister and the home they have created is just incredible and heart-warming. Although this is filled with many sad moments the story is ultimately uplifting and filled with hope, especially the ending which filled my heart with so much joy but made me weep at the same time. Bren combines beautiful storytelling with an underlying environmental warning about how we must look after the creatures of our planet so that we don’t lose them forever. Thank you to Old Barn Books for sending me a copy of this wonderful book. ‘How to Bee’ is released on May 3rd but is available to buy online now or pre-order from any good bookshop. 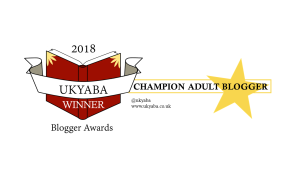 This entry was posted in Uncategorized on April 30, 2018 by bookloverjo. I sat down to start reading ‘What Lexie Did’ thinking that I would just read a few chapters before doing all the other things on my to do list for the day but I just couldn’t put it down. I devoured the whole book in one sitting which for me is a true sign when I absolutely just love a book. My to read pile is filled with books of fantasy worlds promising to take me on epic adventures but when I spot a story featuring children just living their every day lives I can’t help but gravitate towards them. Even more so when they feature a cast of diverse characters and allow me to immerse myself in other people’s lives and cultures. Lexie lives in London with her big, loud and very close Greek Cypriot family, they’re so big she has 28 cousins and she only knows one other person who has more cousins than her! They love nothing better than getting together to celebrate and spend time chatting non-stop whilst eating vast quantities of food. Although she is very close to her family she shares a special bond with her cousin Eleni, who is doted on by the entire family because of her heart condition. They are so close they have formed their own special language so they can communicate with each other without using words. So when Lexie in a fit of jealousy tells a terrible lie after the death of their beloved grandmother Yiayia, it tears her friendship with Eleni and the whole family apart. Wrapped up in grief nobody can see past this dreadful argument and the repercussions are incredibly damaging for them all. The only person who can mend this rift is Lexie but can she find a way to tell the truth without causing more hurt and pain? It’s hard to put into words how much I loved this book, it’s such a joy to read. There are so many moments of joy, pain and grief all wrapped up in a compelling and dramatic storyline. Emma manages to cause a real emotional and physical reaction in the reader through her beautiful and thoughtful writing. Firstly I wanted to belong to this big loving family who make you feel like your enveloped in a huge comforting hug, even if at times it may be somewhat suffocating, you know they will always be there for you. Then contrast this with the desperate sadness of Lexie who is not only dealing with the grief of having lost her grandmother but knowing that she has caused this huge division in her extended family. 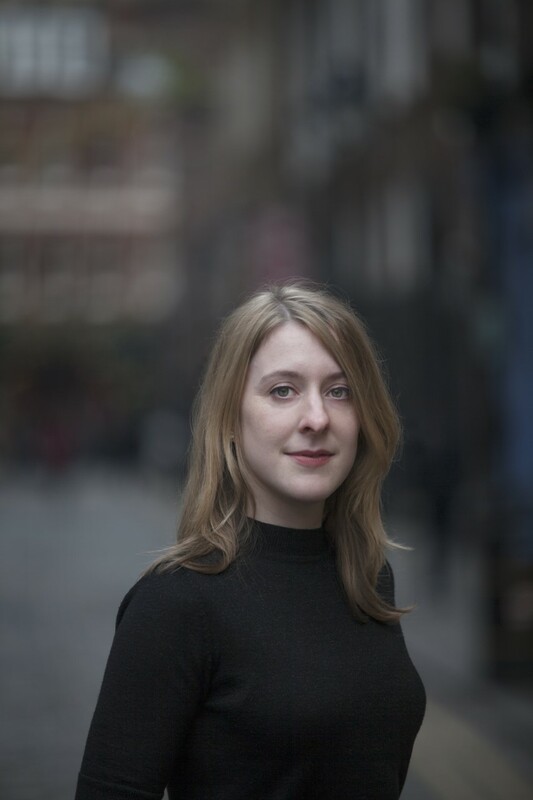 Emma’s attention to detail and thoroughness in researching this culture shines through in the story providing many moments of comedy – my favourite being the toilet plant pots in the garden – as well as many poignant episodes. The characterisation is flawless particularly so in Lexie’s mother, Emma demonstrates the devastating effect the grief of not only losing her mother but her sister so wonderfully in the complete change of her personality so that she becomes a shadow of her former self. 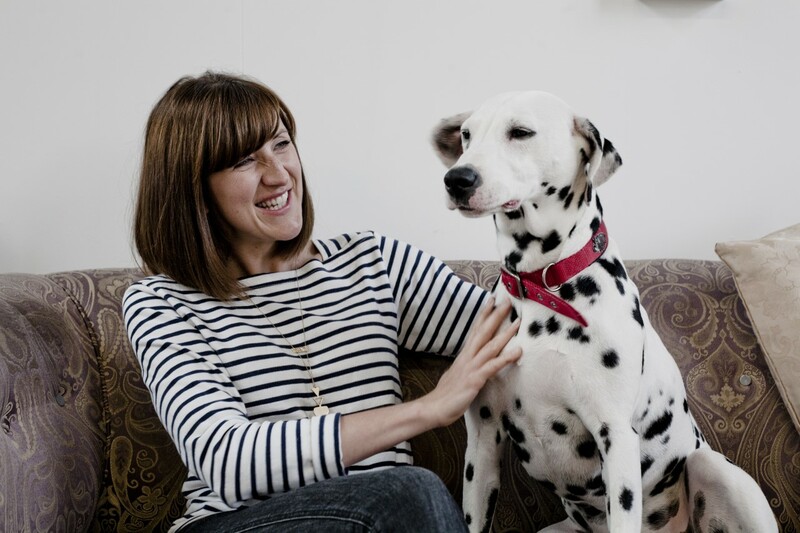 This is not just Lexie’s story but her families’ story as they’re inextricably bound together. 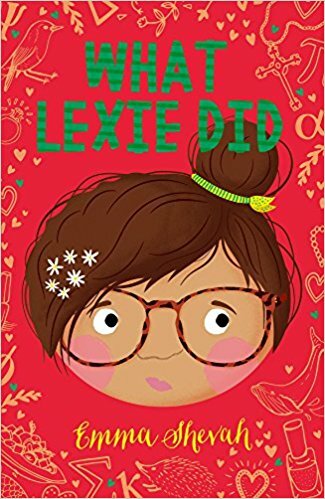 Funny, sad and just absolutely marvellous, ‘What Lexie Did’ is a must have read. This entry was posted in Uncategorized on April 29, 2018 by bookloverjo. Regulars to the blog will know I’m a huge fan of illustrated fiction books, they are perfect for newly confident readers allowing them to gain confidence without being overwhelmed by pages of text. I love watching children at school discovering new books and then going on to devour the whole series and pass them on to their friends. 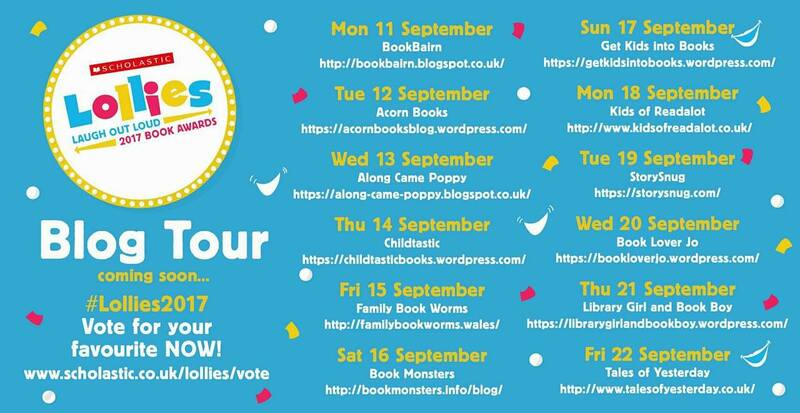 Today I’m sharing some new illustrated series that have been recently released, all guaranteed to enthral and entertain younger readers. 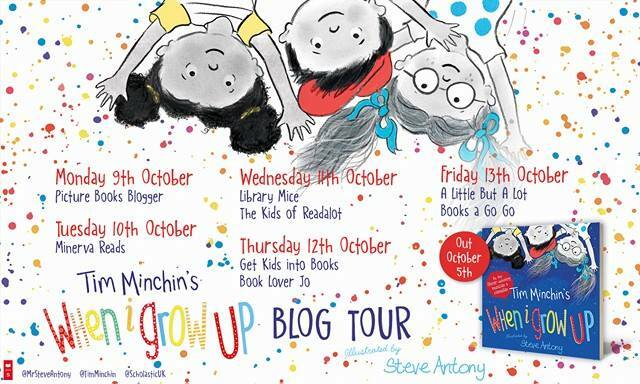 They would make wonderful additions to any primary school library. When Max swaps life from a red velvet cushion in the drawing room of a fashionable townhouse to the dark and dangerous of London streets after an unfortunate incident with a mouse, his life changes in the most unexpected of ways. Forced to seek shelter in the Theatre Royal his mouse-hunting skills soon make him indispensable but little does he know he’s about to get caught up in a truly intriguing mystery. Nobody can understand why legendary opera singer Madame Emerald is behaving so strangely, only singing in her dressing room and refusing to perform onstage. 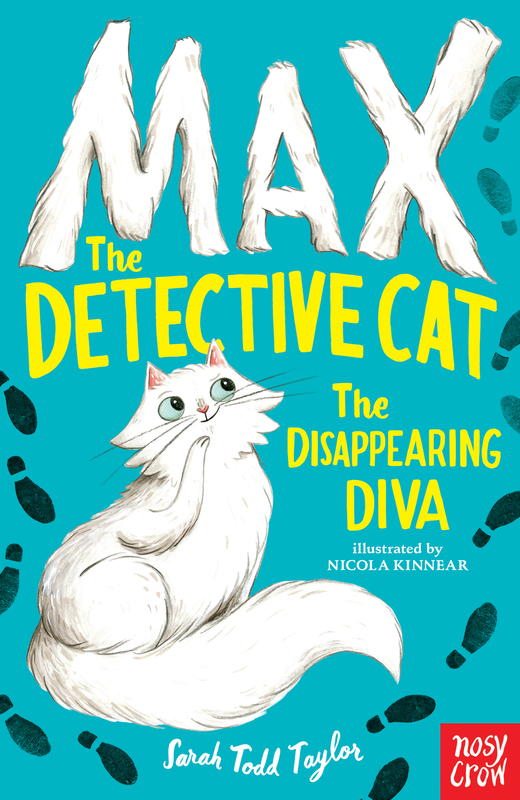 Max is a curious cat and carefully watches her becoming increasingly confused by her odd behaviour but soon enough the pieces of the mysterious puzzle start to slot together and he discovers something dastardly is afoot. 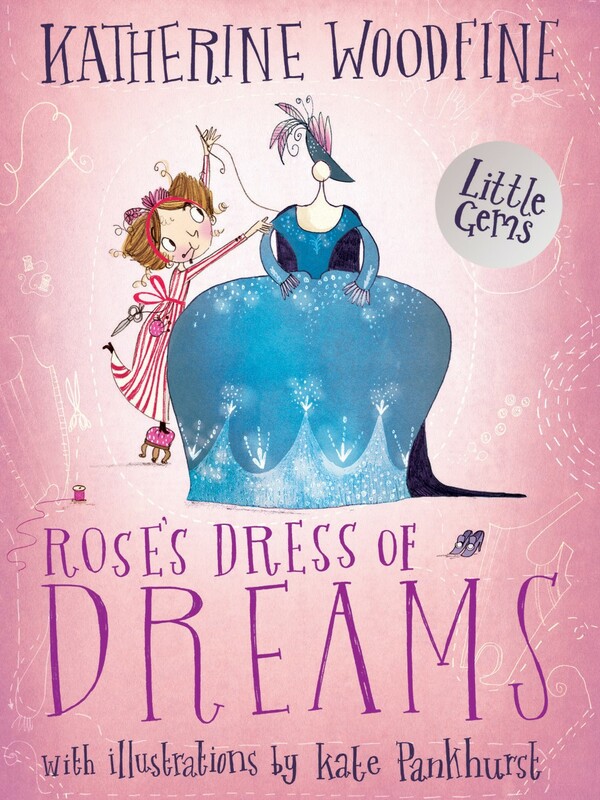 I was utterly charmed by Sarah’s delightful storytelling and wonderful characterisation which combined with Nicola’s gorgeous illustrations make for a really enjoyable and entertaining read. I’m a huge fan of Laura James’s Pug books so I was intrigued to discover she has a new hilarious series featuring one of the greatest minds of our time Fabio, who just happens to be flamingo. 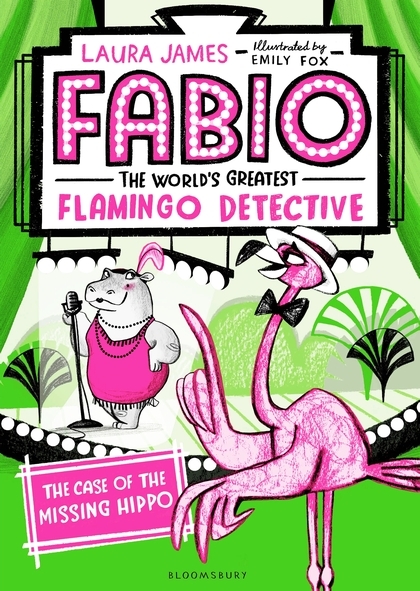 ‘The Case of the Missing Hippo’ is the first crime to be solved in ‘Fabio the World’s Greatest Flamingo Detective’ series. With the help of his giraffe sidekick Gilbert, Fabio must use his cunning mind, his powers of detection and a side helping of pink lemonade to discover the whereabouts of Julia the jazz-singing hippo who suddenly disappears in the middle of the talent show. Laura has a talent for creating eccentric and interesting characters who leap off the page totally capturing children’s attentions. Vibrantly illustrated in vivid tones of pink and green this book demands to be read. 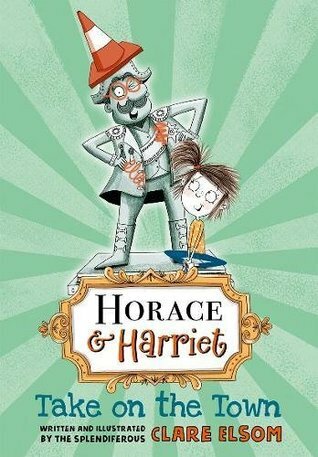 Emily Fox’s illustrations are bursting with humour and life, this is a truly marvellous collaboration and I can’t wait for more crime solving capers with Fabio. 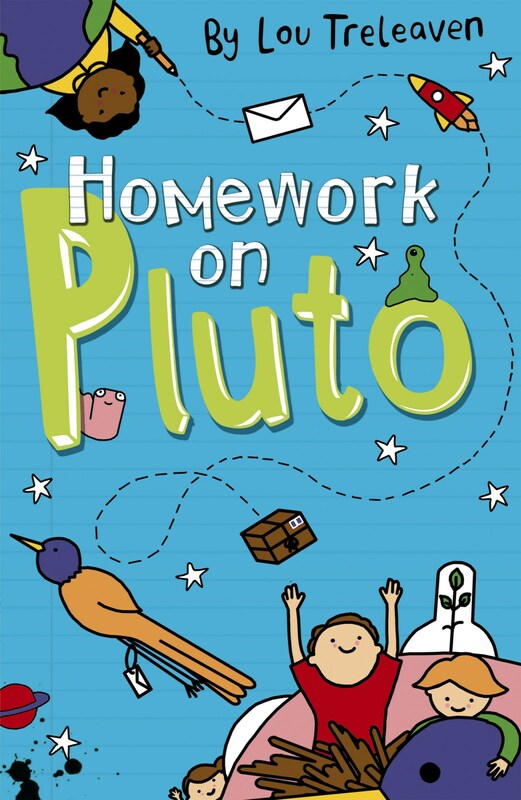 ‘Homework on Pluto’ takes us back on a space adventure with Jon and Straxi who managed to save the entire planet in ‘Letters to Pluto,‘through the powers of letters as part of the interstellar penpal programme. After saving the planet surely Jon deserves to put his feet up and have a well-deserved rest on his holiday to Pluto but his teacher Mrs Hall has other ideas and sets him homework! In the process of dismally failing to avoid writing essays about life on Pluto, Jon discovers that contrary to general belief Pluto is a lot more interesting than he thought. But things take a turn for the unexpected when his little sister is kidnapped by the skwitches, Jon and Straxi find themselves having to come to the rescue once again. I really enjoy the originality of this series, the use of letters, posters and actual homework to tell the story is really engaging and different. Again it carries an underlying environmental message told in a very subtle manner that provides a starting point of conversation to share with younger readers. ‘The Great Telephone Mix-Up’ is one of those gorgeous stories that just fills your heart with joy and leaves behind a warm glow inside. 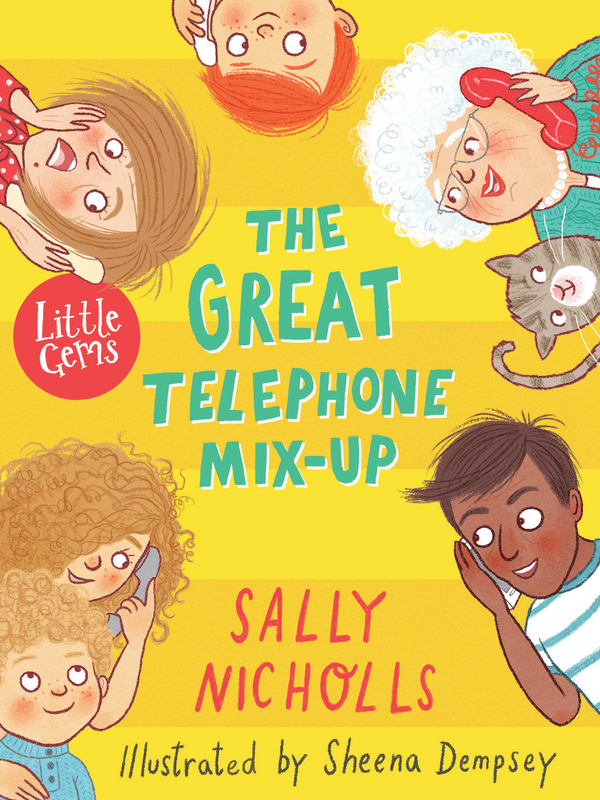 Sally Nicholl’s was inspired to write this charming story after hearing about a real life event where village phone lines got crossed creating much confusion. In this story the mix-up seems to be causing many problems, Margaret can’t run her summer fair, Jai can’t speak to his friend Aditi, although it’s great news for Will who is quite relived that nobody can ring his Mum and tell her what mischief he’s been up to! But this chaos soon becomes a force for good when neighbours have to go and actually talk to each other in person and they soon discover how working together and understanding each other better has a positive effect on their community. Sheena’s wonderful illustrations are full of warmth and humour capturing the nuances of each of the characters perfectly. Another treasure of a book from Barrington Stoke’s Little Gems collection. Thank you to Barrington Stoke, Bloomsbury, Maverick Books, Nosy Crow and OUP for sending me copies of these books. 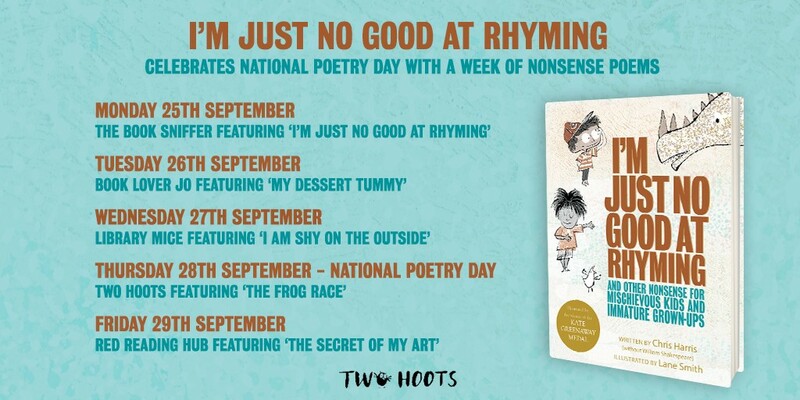 All of the books are available to buy online now or from any good bookshop. This entry was posted in Uncategorized on April 28, 2018 by bookloverjo. 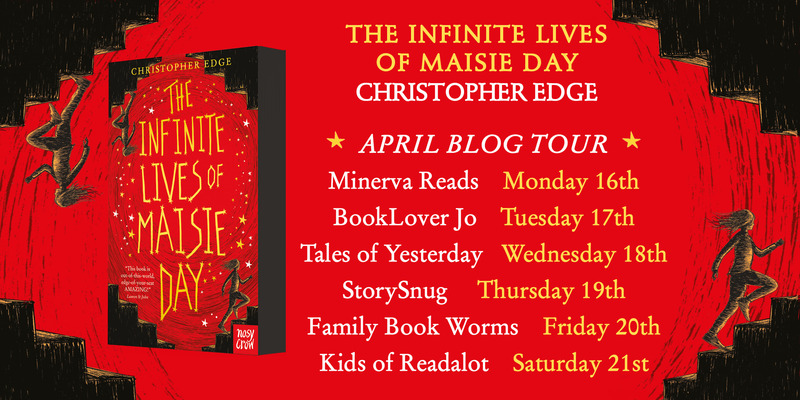 I was thrilled to host the cover reveal for ‘The Infinite Lives of Maisie Day’ in November last year and even got a sneak peek of an early copy. Now that this exceptional book has officially been released into the world it seems only fitting to read this book again in all it’s finished glory and share my thoughts with you on the blog. Christopher Edge seems to have cornered the market in writing incredibly smart and compelling books that totally stimulate my mind and interest in the scientific world which has never happened in my life before. From ‘The Many Worlds of Albie Bright,’ that taught me about quantum physics and made me look at life from a totally different perspective to ‘The Jamie Drake Equation,’ which opened my eyes to life beyond our planet, and managed to take my breath away. ‘The Infinite Lives of Maisie Day,’ completely expanded my mind, testing all of my pre-conceived notions whilst delivering an emotional punch that was completely unexpected. 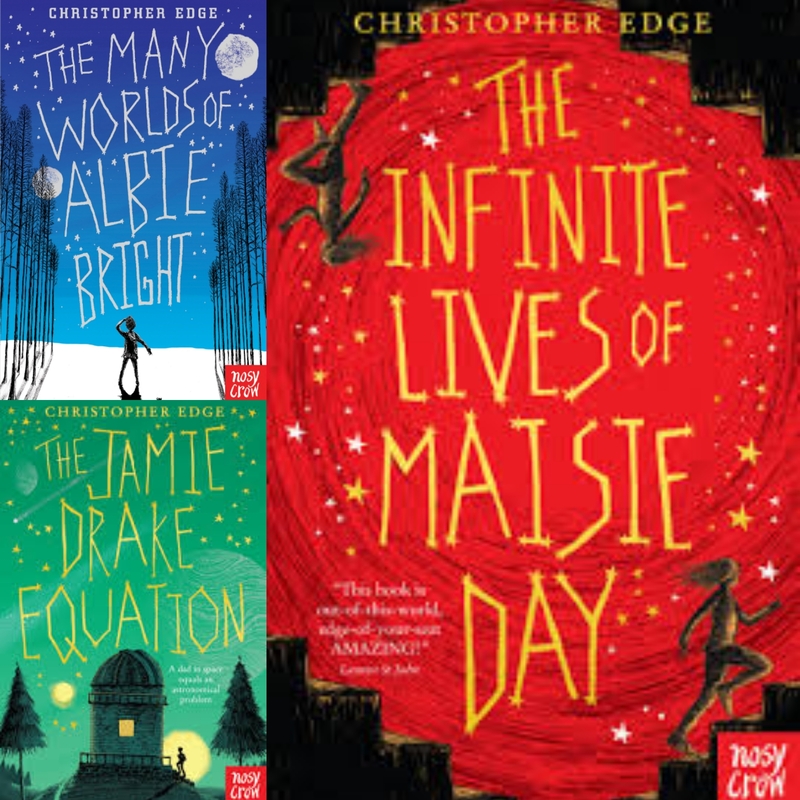 To celebrate the release of ‘The Infinite Lives of Maisie Day I have a copy to giveaway, not only that but I’m also giving away a copy of ‘The Many Worlds of Albie Bright’ and ‘The Jamie Drake Equation,’ to one lucky reader. To enter simply comment on this blog post and for an extra entry pop over to my Twitter account to find out more. Ends midnight 22nd April UK only. 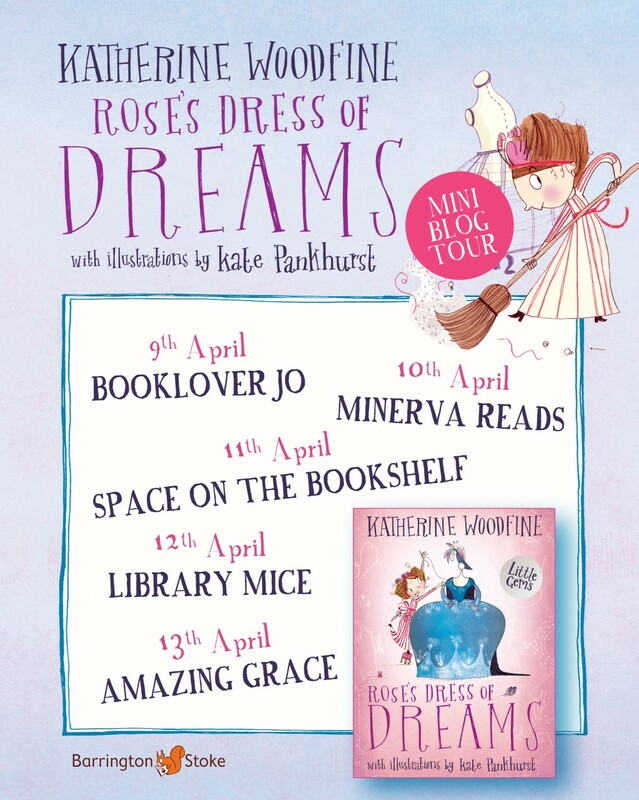 Thank you to Antonia and Nosy Crow for inviting me to join in with the blog tour. 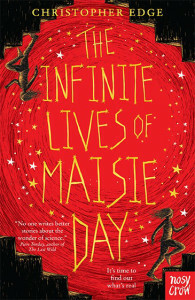 ‘The Infinite Lives of Maisie Day’ is availably to buy now online or from any good bookshop. This entry was posted in Uncategorized on April 17, 2018 by bookloverjo. Life has been so busy of late that I’ve struggled to fit in as much reading as I would have liked. Which if I was to be completely honest would mean that I would be reading for at least half of the day and then spending the other half writing. Sadly though this is not really realistic, as ‘adulting’ tends to get in the way of this somewhat flawed but brilliant plan. However being away on holiday and free from general distractions has allowed me to dip into books which have been lingering towards the top of my TBR (To Be Read) pile and ‘Kick’ by Mitch Johnson was right at the top demanding my attention. 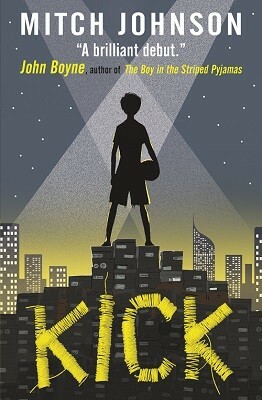 After hearing rave reviews on Twitter about ‘Kick’ I purchased a copy for my school library and without fail, every child who I have given it to has loved it. I’m so happy that I snuck it out of the school library for myself because it is easily one of the best books I’ve read this year. Budi has a plan in life, one thing that he dreams of doing more than anything else in the world. He is going to play for the greatest team on earth, Real Madrid and be as famous as his idol Kieran Wakefield. His life couldn’t be anymore further away from this dream – but the impossibility of his wish doesn’t deter Budi. For Budi works in a sweatshop, stitching football boots that he could never in his wildest dreams afford, always conscious of the omnipresent cane threatening him and the other children from the factory foreman. Budi’s harsh reality means walking home with his pockets turned out so that nobody robs him; never eating dinner on a Friday as there is not enough food and living in constant fear of getting cut due to a congenital illness as his family can’t afford medicine. But his life becomes more desperate and perilous when one unlucky kick leaves him owing a favour to the Dragon, the most dangerous man in Jakarta. Heart-breaking and wonderfully compelling in equal measures, ‘Kick’ is an incredibly adept debut from Mitch Johnson. He transports the reader into the brutal heart of Indonesia where the divide between the rich and poor is so immense, you can feel it pour out through the pages. His wonderful descriptive writing stimulates all of your senses so that you can picture the chaos of the crumbling apartment blocks, smell the spicy, salty street food, hear the swish of the foreman’s cane and feel the oppressive heat of the unrelenting sun. Although Budi and this story is a work of fiction, the truth of the matter – which you can’t escape when reading this book – is that for hundreds of thousands of children around the world this is the actual life they live. Mitch brilliantly balances the hopes and dreams of Budi with the harsh fact that his chance of escaping this vicious cycle of poverty and exploitation is virtually non-existent. He doesn’t shy away from the darkness of the world Budi inhabits and he doesn’t choose the easy way out and for that I have to commend him. Despite all of this, it is still primarily a story about dreaming big, about having hope in the darkest of times and never giving up even when the odds seem too high. Brilliantly told and magnificently delivered, ‘Kick’ needs to be in every junior, primary and secondary library. If you ever want to encourage empathy and offer children an insight into the difficult lives of other children around the world, then let them read this story. ‘Kick’ is available to buy now online or from any good bookshop. This entry was posted in Uncategorized on April 10, 2018 by bookloverjo. Something very dark and spooky is happening on the blog today, prepare to be chilled and totally spooked by this exclusive revelation. I’m really excited (and a little bit scared) to be sharing with you today the cover of the fantastically talented Will Mabbitt’s first book in his new series, illustrated by Chris Mould. 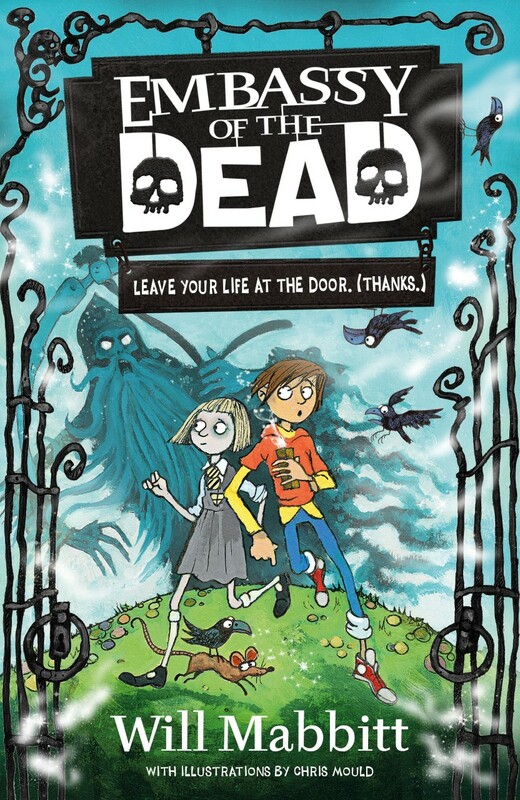 ‘Embassy of the Dead’ will be published on the 14th June 2018 by Orion children’s books. Will Mabbitt has an overactive imagination. It used to get him in trouble but now it’s his job. 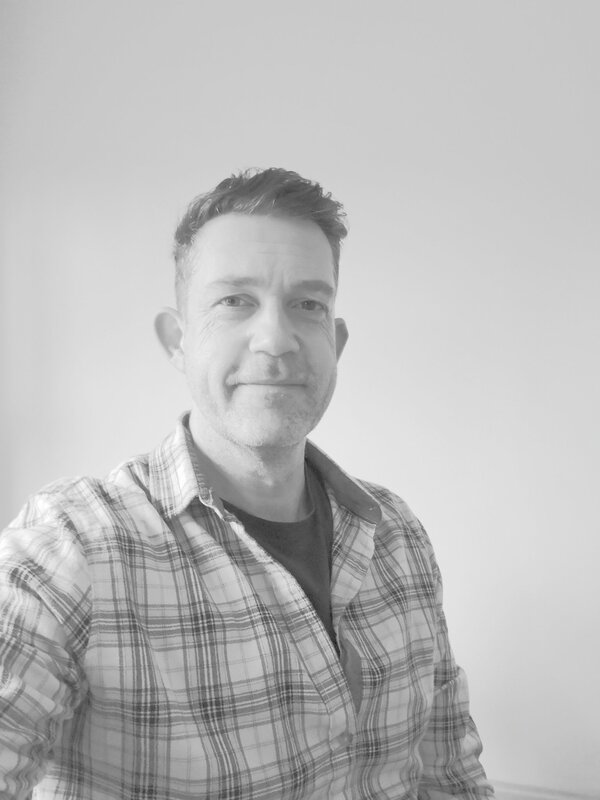 His first book, The Unlikely Adventures of Mabel Jones, was shortlisted for the Branford Boase Award. He’s achieved little of else note, preferring to spend his time loitering in graveyards. He can also be found wandering the streets of Brighton in a daze. He is probably having an idea. He lives with his family, in Lewes, on the south coast of England. Chris Mould has been a freelance illustrator. since graduating from Leeds Polytechnic in 1991. He went to art school at the age of sixteen. 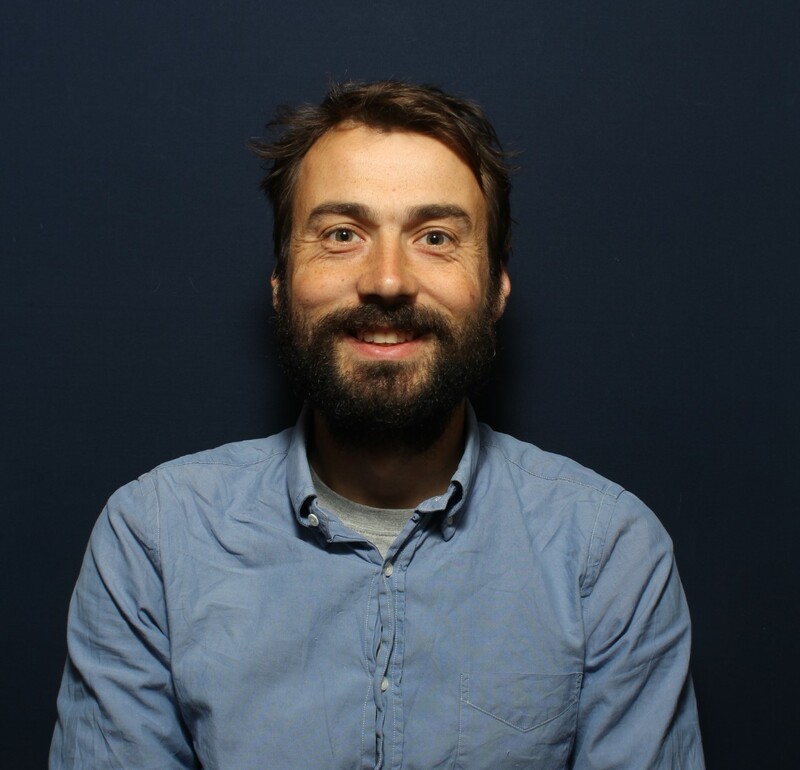 Chris lives with his wife and two daughters in Bradford, West Yorkshire. His work has can be seen in children’s books, magazines, newspapers and many other forms of printed matter. A huge thank you to Dom and Orion for inviting me to host the cover reveal, I can’t wait to get my hands on a copy. ‘Embassy of the Dead’ is available to pre-order now online or from any good bookshop. 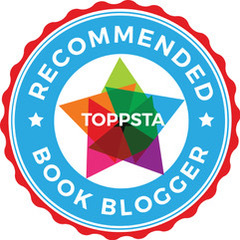 This entry was posted in Uncategorized on April 5, 2018 by bookloverjo.